WASHINGTON, March. 27 (CGTN) -- U.S. President Donald Trump said on Wednesday that Russia should pull back its presence in Venezuela, a day after Russia defended its position on this issue. 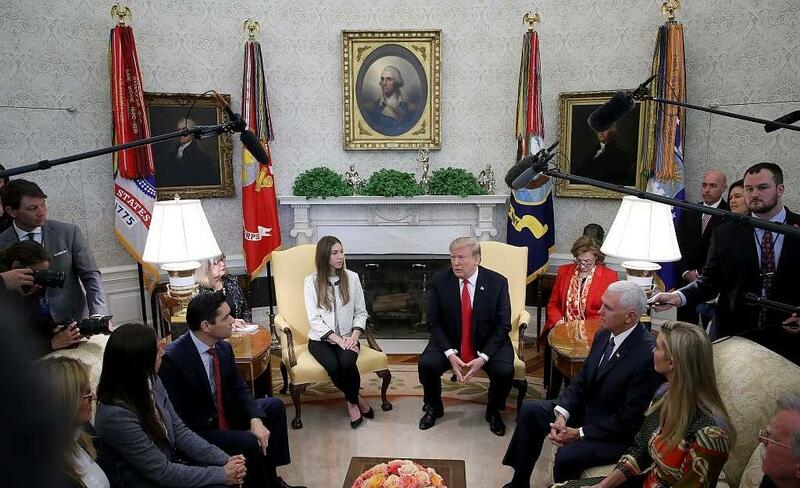 "Russia has to get out," Trump told the press in the Oval Office where he met with Fabiana Rosales, wife of Venezuelan opposition leader Juan Guaido. Trump added that Russia understands the U.S. stance "very well". Earlier Wednesday, U.S. Vice President Mike Pence called on Russia to cease talks with Venezuelan President Nicolas Maduro and said Russia's military move was "an unwelcome provocation". Two Russian air force planes landed in Venezuela on Saturday, carrying nearly 100 troops and 35 tons of equipment and supplies, according to media reports. The Russian Foreign Ministry said Tuesday that the presence of Russian specialists in Venezuela is in line with a military-technical cooperation agreement between the two countries, which does not need the approval of the Venezuelan National Assembly. Trump also said that the Venezuelan government was under "plenty of pressure right now", noting that "other than military you can't get any more pressure than they have ... all options are open". The United States has been pursuing a policy of economic sanctions and diplomatic isolation against the Venezuelan government in support of the opposition leader Guaido. Venezuela has been plunged into political tension since January 23 when opposition leader Guaido declared himself the Latin American country's interim president and was later recognized by the United States and some of U.S. allies.